← P26 Complete Results The Masters Begin On Monday!!! Comment by Linda Rebholz on the “TOC”. Linda Rebholz Speaks: For several years, we have not attended the TOC. As most players know, this is a tournament for which you have to qualify, i.e. be a Pro and have placed in a Main event. It is a M/L Non-walking/Walking Singles tournament and it has been held in Clearwater since its inception. The FSA Board voted last year to move the location to Sebring in hopes of increasing the number of players. Many were surprised to find the numbers were down even more! There were 32 women who played in non-walking, 17 men in walking and 24 in non-walking. Although Phil is qualified to play for life time, his feet and legs do not allow him to play in Walking very much and he does not like frame games. He decided that this year he would play in Sebring. 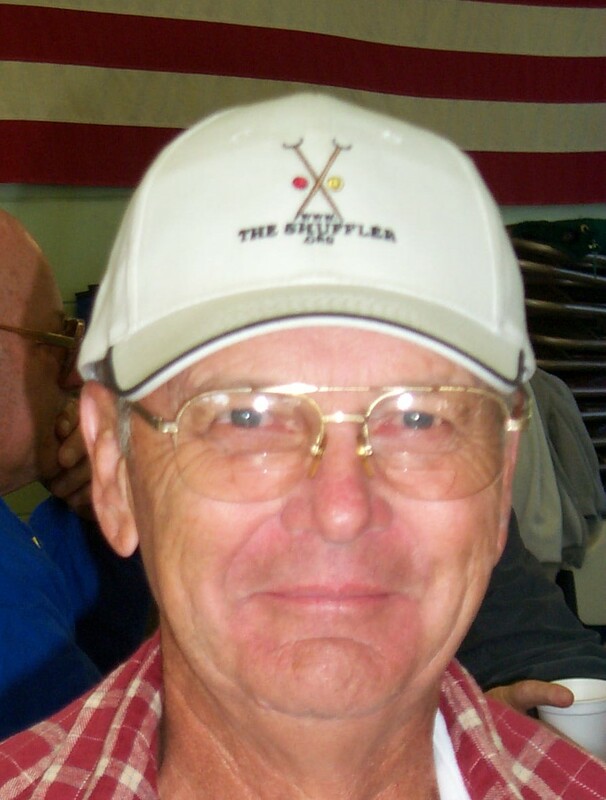 There were too many playing for me to comment much on plays, etc., however, my “old guy” won all his matches except the one against Earl Ball. 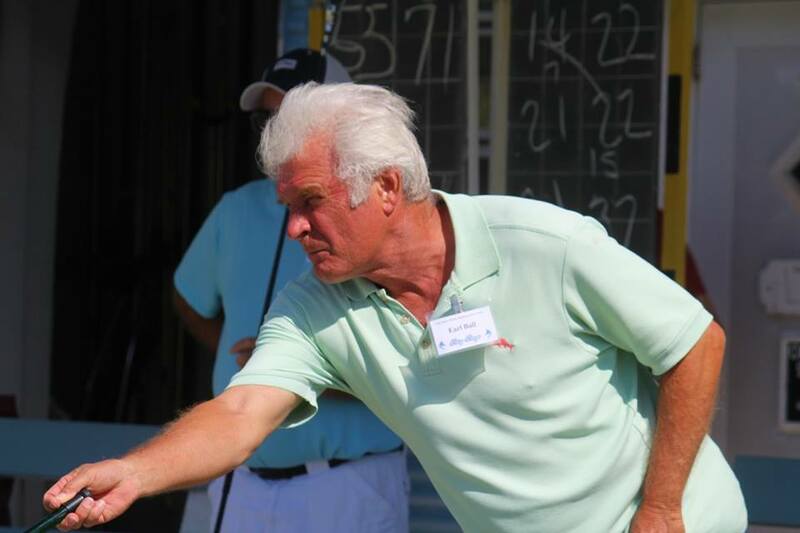 The tournament finals in Walking was again a match between Earl Ball and Jim Miller. As Larry Brown stated, it was “Miller Time” as Jim became the champion. 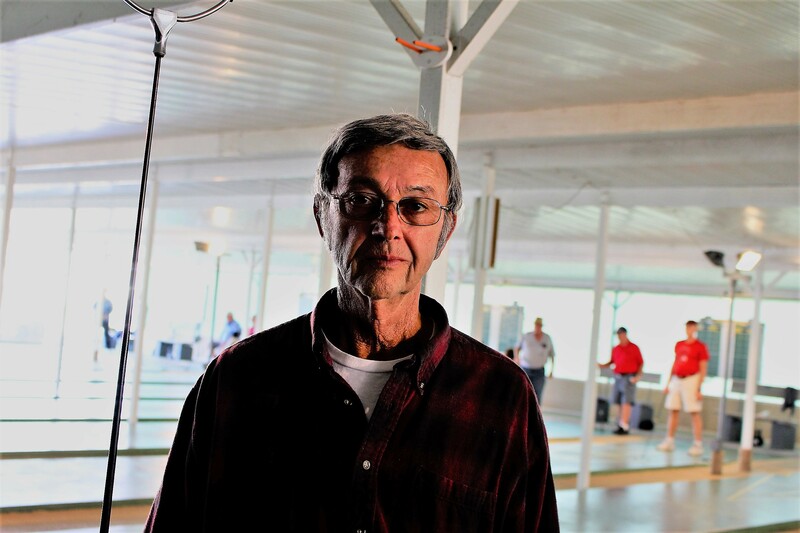 In Men’s Non-Walking, Steve Raimondi was a little anxious, as this tournament could change his standing for the Master’s. Steve won 1st place in the Main and may possibly be an Alternate. 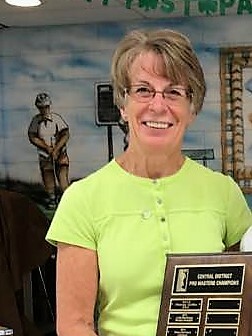 Judy Holloway won 1st place in the Main for the Women’s Non-walking. CECD was well represented. Other than Phil, Tom Winkelspecht placed 3rd in Men’s Walking Consolation. We had Dotty Koert playing in the women’s non walking. 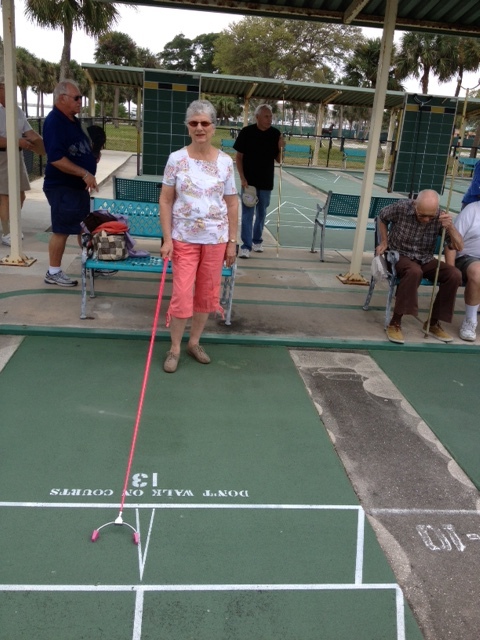 Although Dotty did not place, she loves shuffleboard and is a tough player. She is beginning to travel and play in state tournaments. Jack Beaudry and Dave Clendenin also played in the Men’s non walking but did not place. At one time, we had a lot of traveling players and we are happy to see new players begin to travel to these tournaments. We congratulate all the winners. As Jo Miller said “all are champions”. Many thanks to Glenn Monroe who ran the tournament. This was a time of wishing everyone farewell for the summer as many travel North. 1 Response to Comment by Linda Rebholz on the “TOC”. 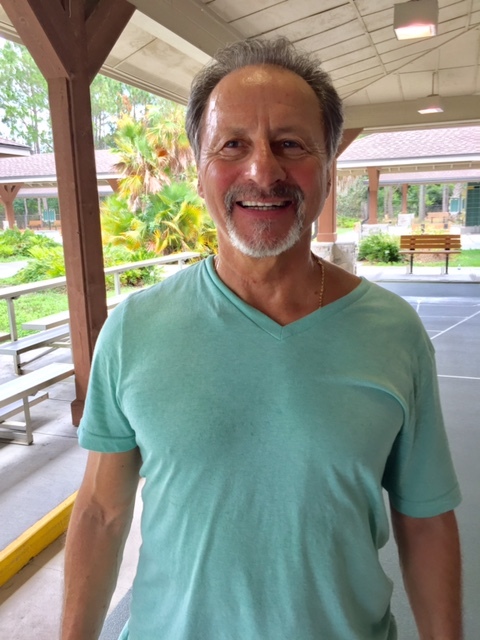 Congratulations to Clearwater’s Steve Raimondi for 1st place in Non- walking and Rosaire Cote for 2nd in Consolation in the Tournament of Champions held at Sebring. Kudos to all who placed.Too bad the FSA’s expectation of a larger field than last year at Clearwater didn’t materialize as there were 19 less men and three less women.That’s more than a 20% decline. Let’s let the FSA know we want it back in Clearwater.